Are webinars part of your inbound marketing plan? If they aren't, they should be. 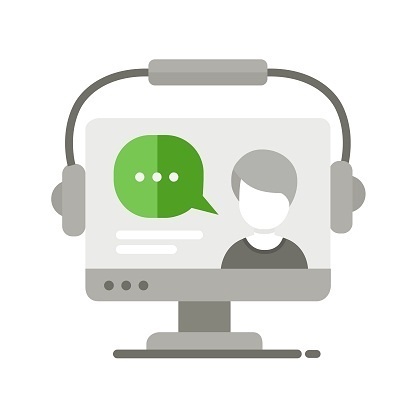 Webinars can effectively showcase your company's expertise, offer real time interaction with prospects and offer advanced content once they are completed. Consider the following reasons to include webinars in your inbound marketing strategy. Webinars offer a good option to Middle of the Funnel leads. These are leads who are past the awareness stage and may be in the process of trying to solve a key business problem. A webinar offers MOFU leads good exposure to your employees in a non-sales environment. In a sense, webinars allow you to audition to your prospects. You become more than a website or a download to them. You can create a ton of content from a webinar. Firstly, you'll need to decide on your webinar topic. What's hot in your industry that is affecting your customers? Is new legislation affecting their business? Are there upcoming trends they need to be aware that you can educate them on? Is there a successful case study you can walk them through to highlight your offering? Can you offer continuing education credits through a webinar? Once you decide on a topic, you'll need to create a presentation. Figure about 45 minutes for slides and 15 minutes for Q & A. Realistically, you'll start a few minutes after the hour since you'll want to make sure everyone is logged in and ready to listen. A start time of 1 or 2 PM EST is accessible accross all US time zones. If you have presenters in multiple locations be sure to have a practice session a day or two before the webinar so you can handle pacing, transition and any technical glitches. GotoWebinar is widely used webinar software. Your presenter may not be technically savvy and you'll want them to focus on presenting content not making sure slides are advancing or whether or not their audio is OK. Use a moderator to introduce the webinar expert and take questions after the presentation. It will formalize the webinar rather than having the presenter do everything. Consider live-tweeting the webinar and using a specific hashtag for so that other Twitter users can participate. Be sure to record the webinar so that you can use it as advanced content afterwards. Send all participants a copy of the presentation that was used and tell them how to receive their continuing education credits if they were offered. Consider sending a recording of the webinar to registrants that did not attend. If there were questions that you didn't have time to answer after the presentation, write a blog that answers those questions. Use the recorded webinar as a piece of advanced content that can be downloaded from your website. If this is your first webinar, think small. Don't expect a huge number of participants. Be sure to promote it to your contacts database and even on Facebook or LinkedIn for additional exposure. Pick a topic with broad appeal in your ecosystem - cast a wide net. Commit to at least one webinar a quarter. That's only four webinars a year. You'll have enough time to prepare and pick out the hottest topics. Webinars are a powerful way to audition for your prospects and let them see and hear the experts in your company. Help me add webinars to my inbound marketing program.